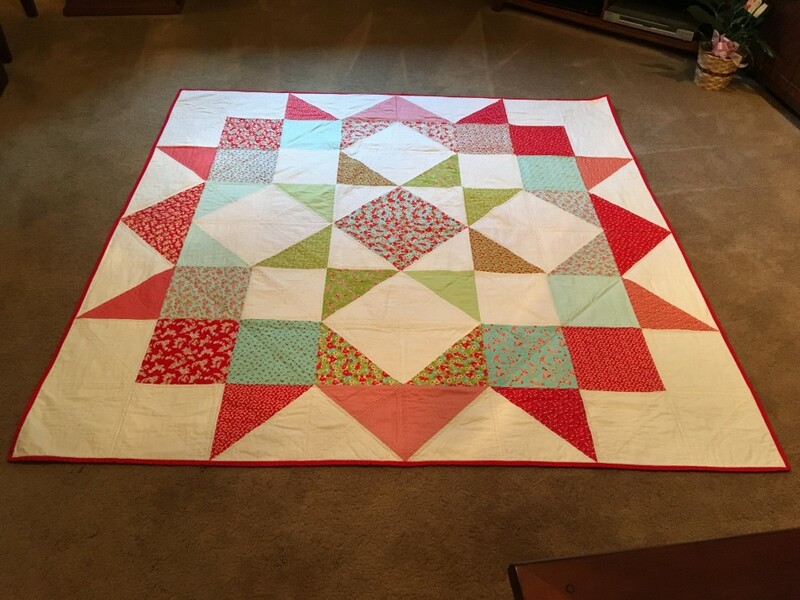 I made this quilt for my granddaughter's first birthday. Her name is Ruby and the fabric line is called Little Ruby--perfect! I kept the quilting minimal--just basic outline quilting. 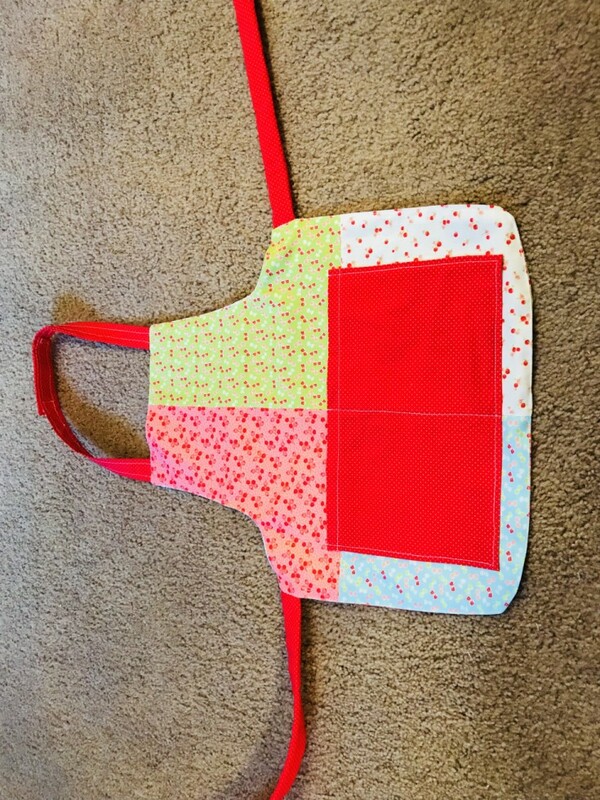 The second picture is an apron I made for her from some of the leftover fabric. She likes to help her Mom in the kitchen so I plan to give this to her on her 2nd birthday.